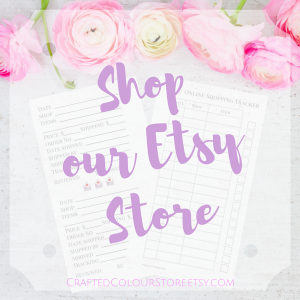 As I mentioned in this post, I have started a Pinterest board as a wish list for some projects for this year. I thought I’d start out with a nice easy crochet pattern for a baby owlet from Roman Sock on typepad. There are tons of free patterns on Brigitte’s blog including a fluffy bunny, a meercat and a cute little Pomeranian puppy. 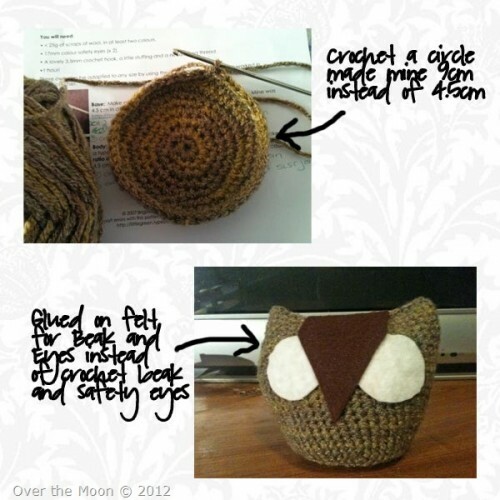 The owlet seemed easy enough, it was just crocheting a bucket shape, adding a beak and eyes. Of course, being me I couldn’t follow the pattern to the letter and had to go my own way. I ended up with something that was far from “pocket sized”, entirely my own fault really. Yep, that’s me, always looking to do something differently. The pattern called for a crochet circle of 4.5cm and I started with 9cm. Not sure what happened after that, as I was crocheting up the sides of the body somehow I had started to increase stitches, making a more open shape, between a bucket and bowl shape. I kept telling myself it adds character. I finished the body in one day (Saturday), I spent the next day searching the house for the bag of fibre fill and the teddy bear eyes left over from another project. No luck! Lord only knows where they are, probably tucked away somewhere safe where I’ll never find them again. I finally gave in and dashed off to Spotlight to buy what I needed. The universe was against me because there was no fibre fill or eyes big enough for “Henrietta”. A little creative thinking and I ended up with a pillow insert and felt for the eyes and beak (I couldn’t find the right shade of brown yarn for the beak either). Henrietta is now filled with a little sock of rice to keep her up right and I glued on the beak and outer eyes. Now the glue was a mistake! I should have blanket stitched that felt because sewing the two green buttons for the eyes was almost impossible. I couldn’t get the needle through the dried glue. Here she is in all her glory. Sporting vintage bottle green buttons, and sitting on a shelf with some of my zentangles. Henrietta – big enough for a paperweight, but too big for a pocket! 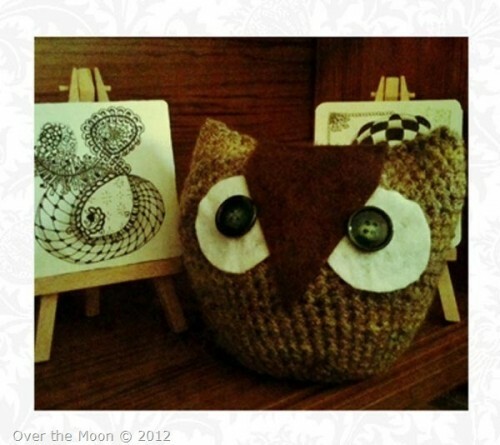 Find a freebie Owlet Crochet Pattern (and others) at littlegreen.typepad.com.